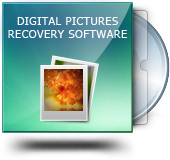 Description : Purchase Digital Pictures Recovery Software to retrieve deleted digital photos and other multimedia files and folders from Computer hard disk, memory card and other USB storage devices. Software is compatible with SATA, ATA, SCSI and all major hard disk interfaces. Supports easy recovery of lost digital pictures, images from HDD and USB drives. Easily works with 512MB, 1GB, 2GB, 4GB, 8GB and higher capacity storage devices. Supports Sony, Samsung, Toshiba, Olympus etc USB drive brands. Facilitates to work with Maxtor, Western Digital, Samsung and other HDD standards.